JACKSON, Miss. 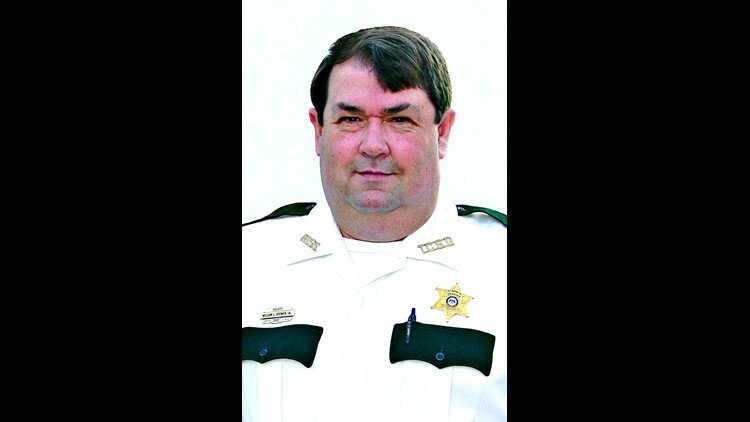 – The sheriff of Tallahatchie County in Mississippi is behind bars, accused of 15 years of drug trafficking and bribery. Sheriff William Brewer, 58, of Oakland, was arrested by FBI agents Friday morning and charged with conspiracy to distribute a controlled substance and extortion and bribery under color of official right in violation of the Hobbs Act. Brewer was charged by criminal complaint in U.S. District Court in the Northern District of Mississippi. Officials said most of the information on the case is sealed but will be released as it becomes available. Brewer appeared Friday before U.S. Magistrate Judge Roy Percy. He was remanded to the custody of the U.S. Marshals Service pending preliminary and detention hearings, which are set for Tuesday in the Federal Courthouse in Oxford. Previously, Brewer was accused of discrimination by former Deputy Terry Tyler, who filed an Equal Employment Opportunity Commission complaint against him. Tyler alleges that on a day he wasn't even on duty in 2016 the sheriff was being verbally abusive toward him because he wasn't informed of a crime in his neighborhood when the computer system was down. When Tyler said, "You don't talk to white deputies like that, and you're not going to talk to me like that," he alleges that he was fired. Tyler also alleged that white deputies are paid more than black deputies, and that Brewer would not give him copies of his pay stubs. Tallahatchie County is home to a little more than 15,000 people, accoriding to the 2010 census.